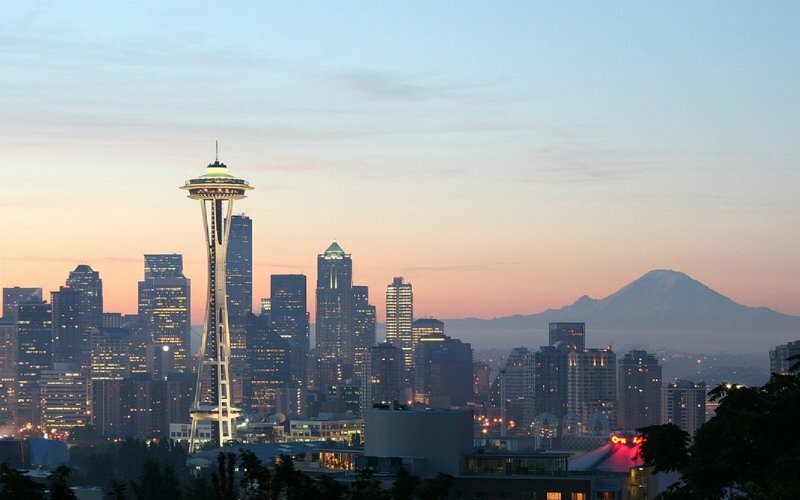 The largest city in the State of Washington and the entire Pacific Northwest, Seattle has much to offer school groups nationwide. First established as a seaport and logging town, Seattle is now a high tech haven and one of the fastest growing cities in the U.S. It is also a popular tourist destination, particularly in warmer months, because of its verdant landscape and coastal scenery. For school music trips, Seattle offers a number of student-friendly attractions. Pike Place Market is a historic public fisherman's market, where workers famously hurl salmon to and fro to the delight of onlooking crowds. The Space Needle is a true Seattle landmark, and visitors can get an amazing view up on the observation deck or in SkyCity, a rotating restaurant that turns 360 degrees every 47 minutes. The Seattle Aquarium is down on Pier 59 at the waterfront, and it hosts a huge collection of marine life to observe.